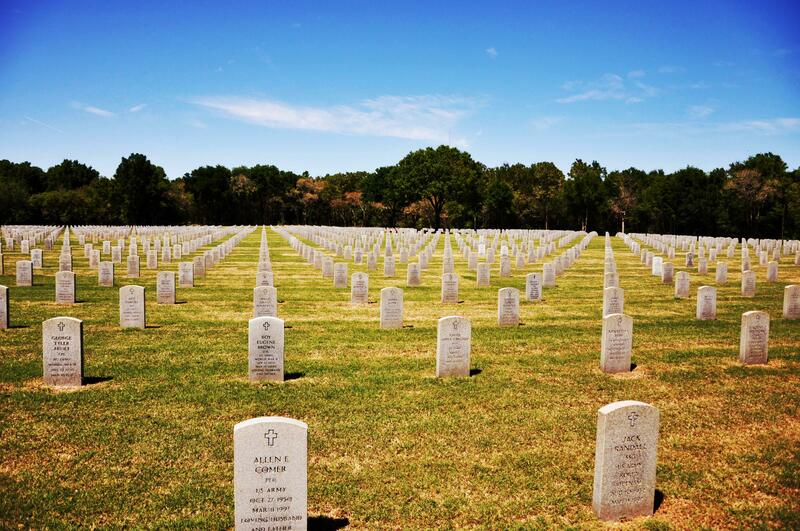 The Florida National Cemetery is a United States National Cemetery located in the Withlacoochee State Forest, approximately 50 miles north of Tampa near the city of Bushnell in Sumter County, Florida, about 3 miles from our camp site. Administered by the United States Department of Veterans Affairs, it encompasses 512 acres, and just began interments in 1988. 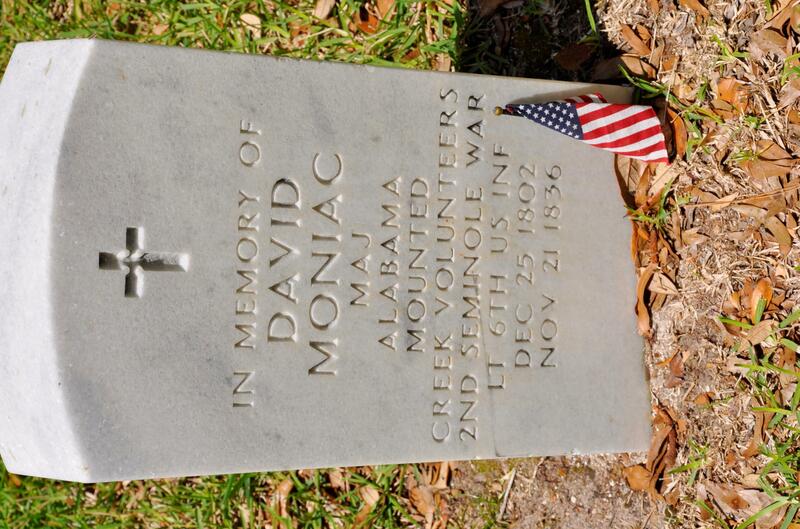 I found the most notable grave (actually a memorable marker, as most were) to be that of Major David Moniac, who fought in the 2nd Seminole War. He was in the 6th U.S. Infantry, Alabama Mounted Creek Volunteers. In 1822 he was the First Native American Graduate from the US Military Academy. My understanding of the history is that the Creek Indians were driven out of their lands in Alabama and Georgia and joined with the Seminoles in Florida. It appears this guy joined the US Army and fought with the white man against his own people. I am finding the Seminole Indians and the 3 Seminole Wars quite fascinating. When I get out that way I will do that. In Florida a lot of the slaves took refuge with the Seminoles. However, during the removal of the Seminoles, the slaves were recaptured. Neat. I’m fascinated by the native americans as well. When we were in AZ on navajo lands, i made the mistake of calling them indians. He couldn’t roll his eyes loud enough, then told me they prefer native americans. I remember, as a kid, playing cowboys and Native Americans. Now I understand why the Floridians are such fierce Seminole fans.